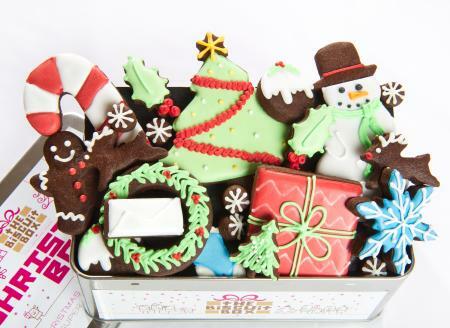 This tin is packed with everything you need for a Merry Christmas. 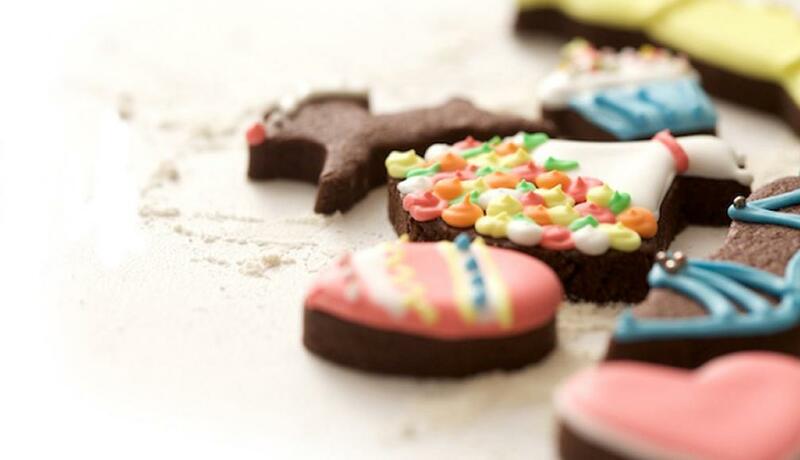 From puddings to presents all iced onto our super chocolatey biscuits,it's great gift for the festive season. This tin contains approximately 22 biscuits of various shapes and sizes all beautifully displayed over three layers and packaged in our Merry Christmas Tin. 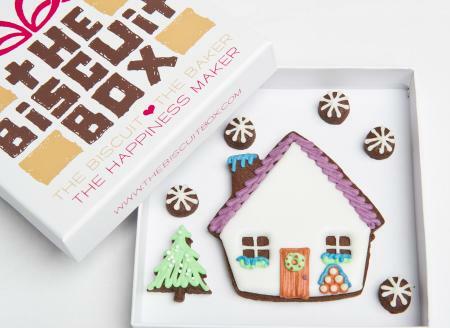 Enjoy these yummy Christmas biscuits when it's cold outside, a great festive gift for winter. 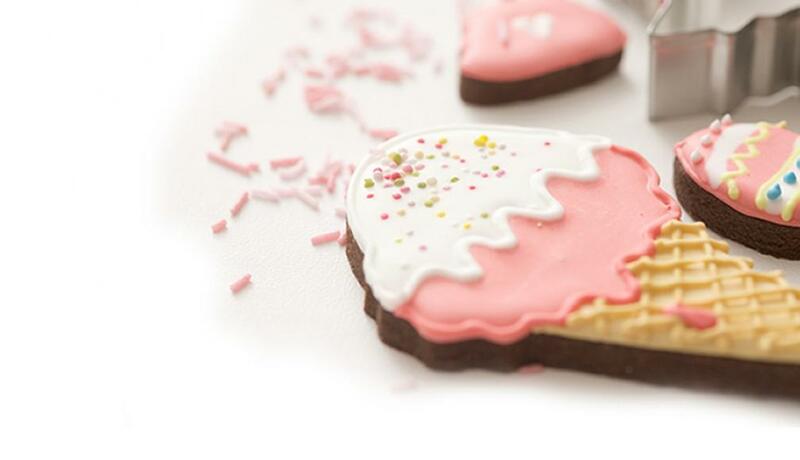 Packed with three layers of our super chocolatey biscuits they are hand iced in a winter lodge theme. Customise the winter hat with a name to make this gift unique. 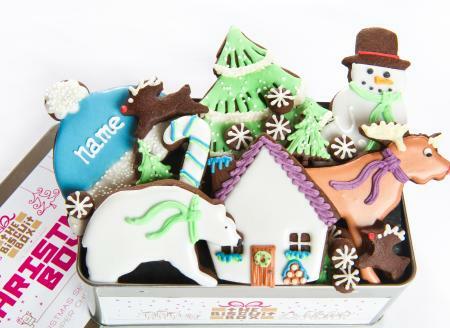 This tin contains 21 hand iced biscuits, beautifully displayed over three layers in our Happy Christmas Tin. 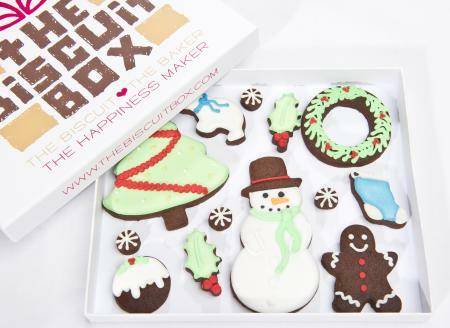 This lovely Christmas box is packed with festive delights, all hand iced onto our super chocolatey biscuits. This box contains approximately 13 biscuits of various shapes and sizes all beautifully displayed over one layer in our branded biscuit box. 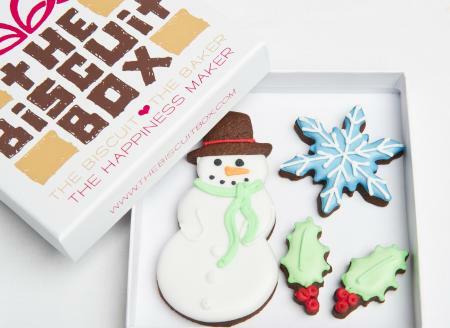 Give this great winter gift to someone this season to spread some festive cheer. You can even personalise the bobble hat with a name to make this a really special gift. 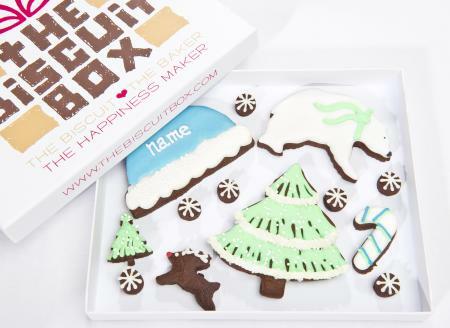 This box contains approximately 13 hand iced biscuits of various shapes and sizes, all displayed over 1 layer in our branded biscuit box. 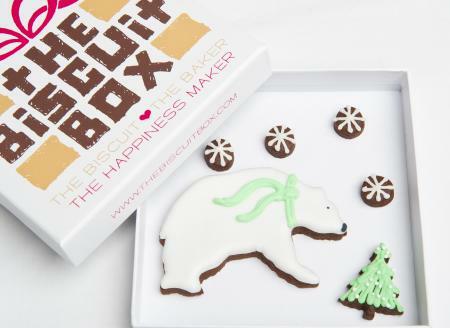 Celebrate the festive season with this cute Polar bear biscuit card. 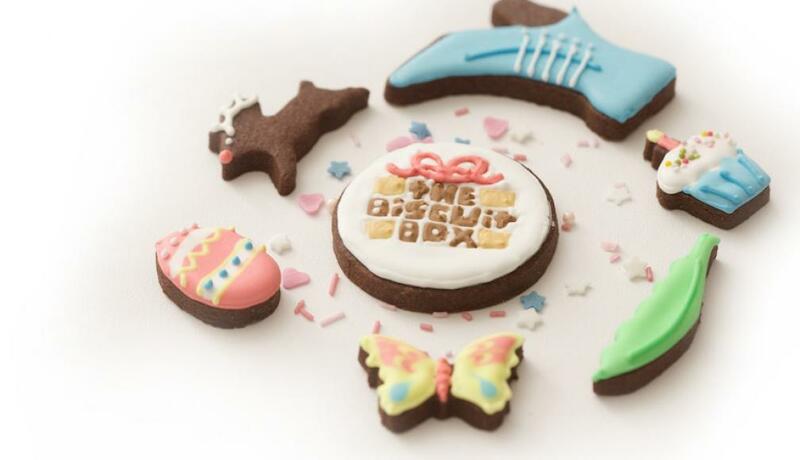 This biscuit card contains approximately 6 biscuits of various shapes and sizes all displayed over one layer and presented in our branded biscuit card box. 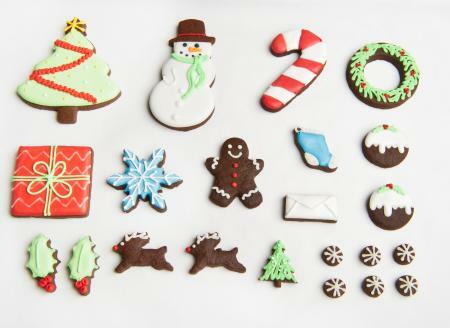 This snowman biscuit card makes a yummy alternative to a Christmas card. 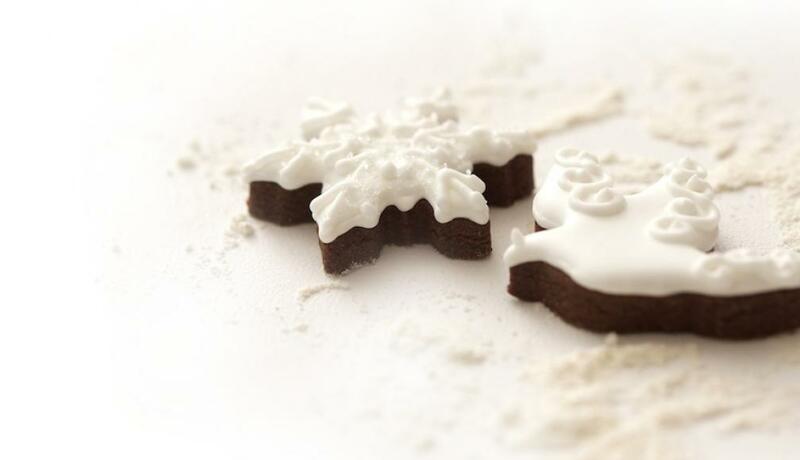 Hand iced onto our super chocolatey biscuits it's a great Christmas treat. 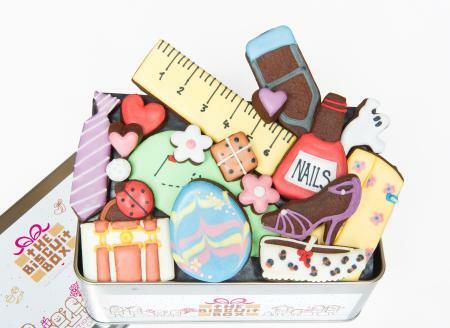 This biscuit card contains approximately 4 biscuits of various shapes and sizes all displayed over one layer and presented in our branded biscuit card box. 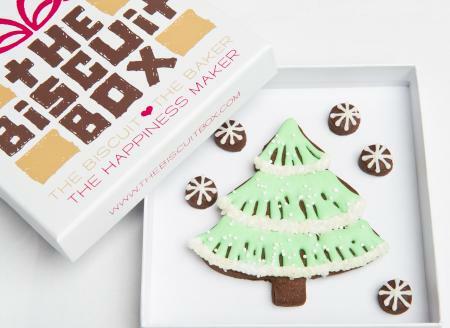 This Christmas tree biscuit card makes a great gift and doesn't drop any pine needles! 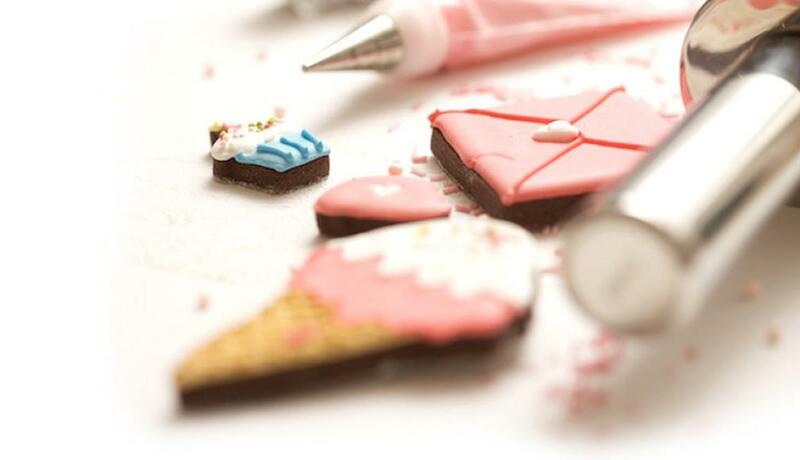 A great alternative to a traditional card or as a festive thank you. 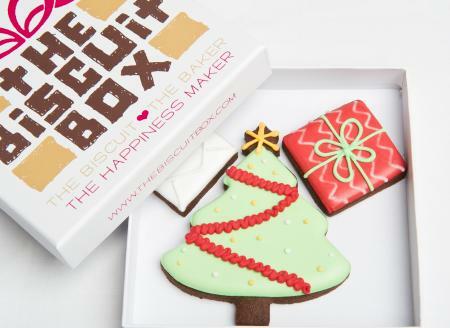 This biscuit card contains approximately 3 biscuits displayed over one layer and presented in our branded biscuit card box. 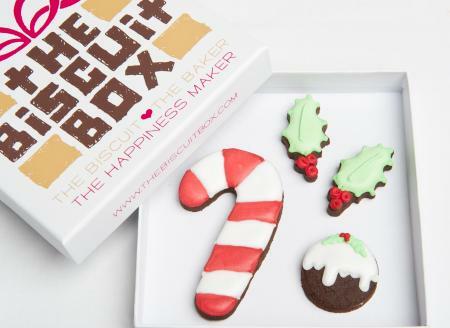 This cute candy cane biscuit card makes the perfect festive gift, great as a thank you or Christmas invite it's sure to make someone smile. 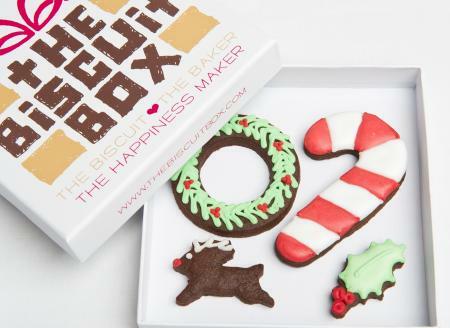 This biscuit card contains approximately 4 biscuits of various shapes and sizes displayed over one layer and presented in our branded biscuit card box. 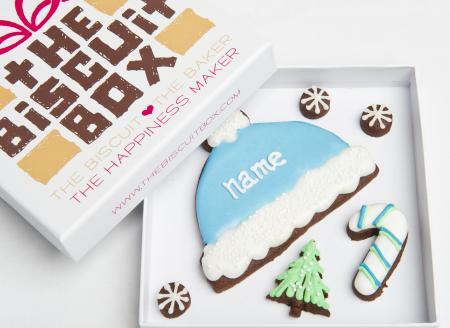 Keep warm with this bobble hat biscuit card, personalise it to make a special gift for someone special this season. 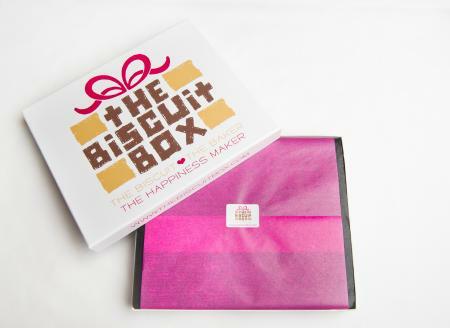 This biscuit card contains approximately 6 biscuits of various shapes and sizes displayed over one layer and presented in our branded biscuit card box. 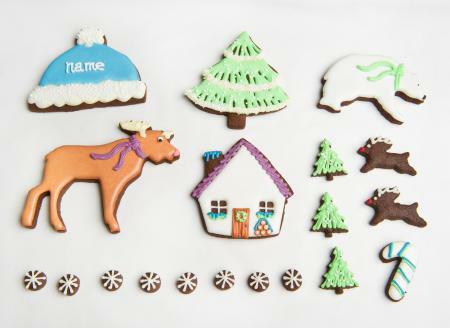 This fir tree biscuit card makes a great winter gift, and there is no need to worry about decorating it! 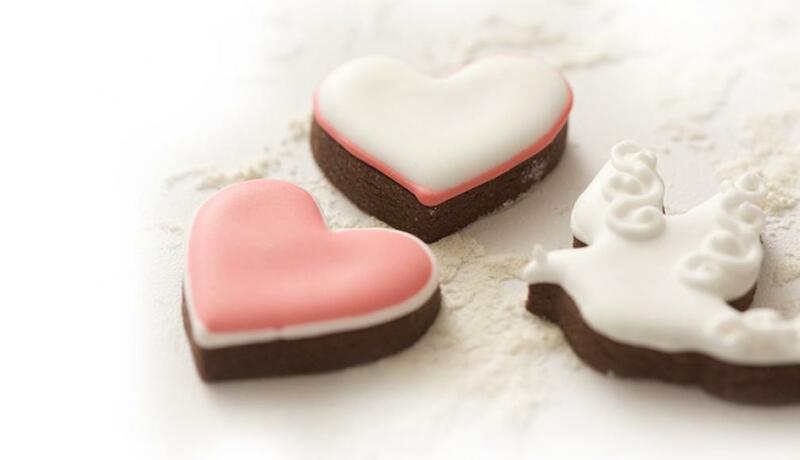 Let someone know you are thinking of them this winter, with this yummy lodge biscuit card, add their name to make this gift unique. 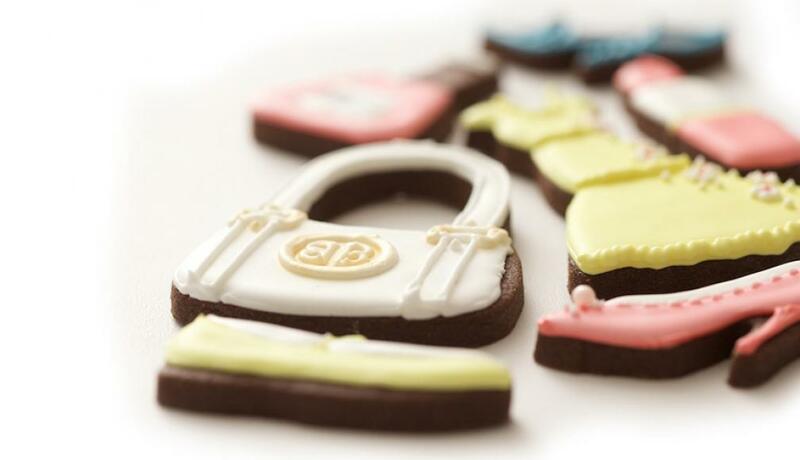 This wreath biscuit card may not be able to hang on your door but it is certainly tastier than a traditional one! 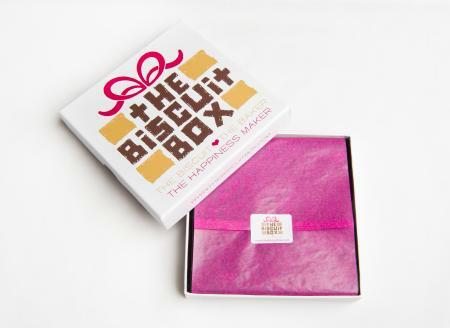 This biscuit card, contains approximately 4 biscuits of various shapes and sizes all displayed over one layer and presented in our branded biscuit card boxes.